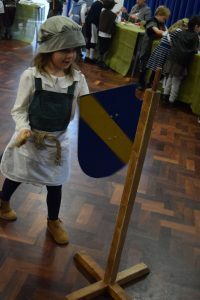 This term, Year 1 have been learning all about castles and on Tuesday, they came into school dressed as squires, knights and maidens and all ready for their Medieval Castle Day. 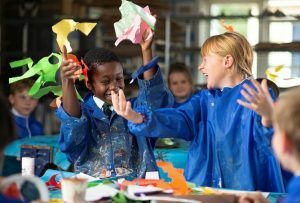 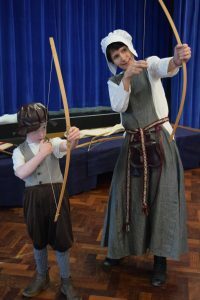 The children took part in an all-day interactive workshop and became fully immersed in medieval life. 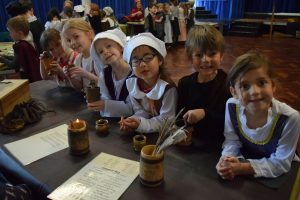 They spent the morning making candles, ink and soap, weaving bracelets, cooking pies and archer training. 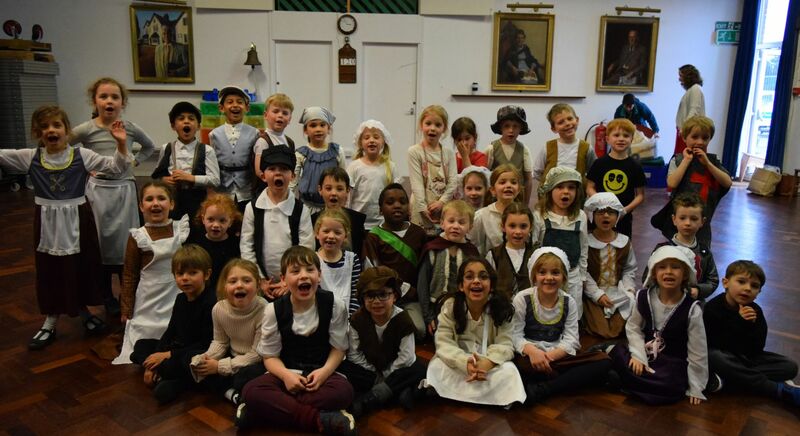 The afternoon consisted of a magnificent banquet and entertainment! 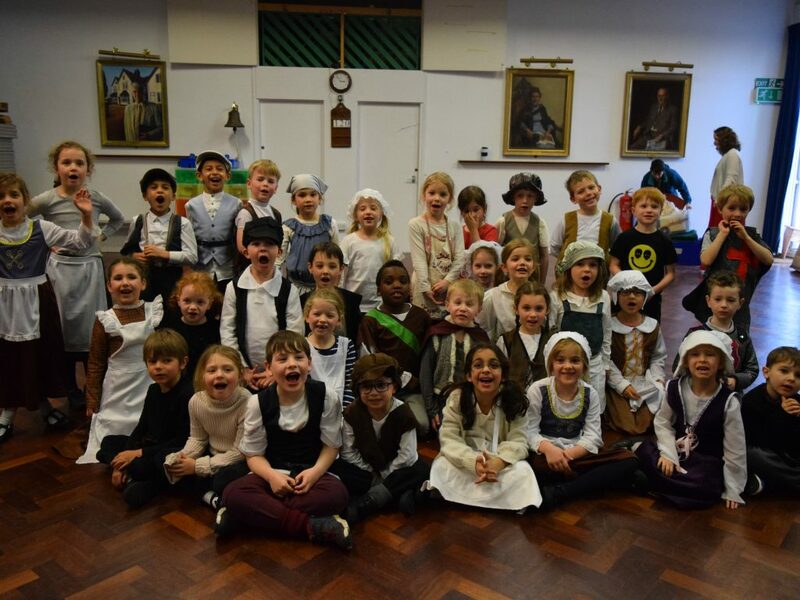 There was a feast of bread, cheese and fruit and the children had the chance to dance, do acrobatics and juggling and perform a play of the tale of St George and the Dragon. 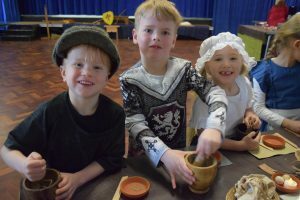 The day was a huge success and Year 1 thoroughly enjoyed themselves, having learnt so much that they can bring back to the classroom.